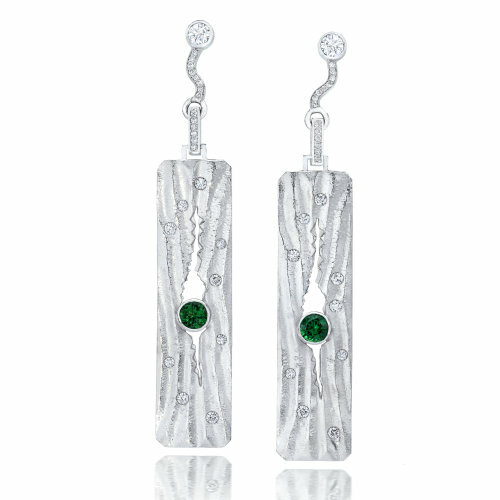 Silver rippled Sand earrings are made of silver, chrome diopside stone and white sapphires. Rippled Sand earrings are made of silver, with 5mm center stone of chrome diopside and finished off with white sapphires. Top stone is a 4mm white sapphire. Tcw: Chrome Diopside .98 cts and White Sapphire .93 cts.